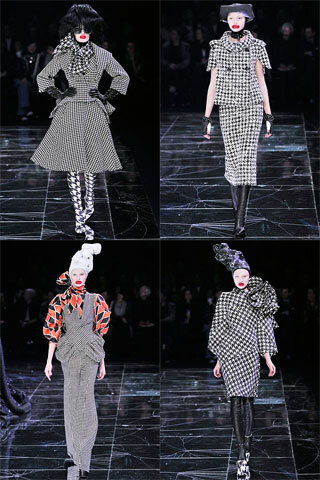 Apparently houndstooth is staying for quite some time in this year. Alexander McQueen add a touch of royal couture glam for this vintage pattern with 40’s-50’s silhouette. The models’ makeup was exaggerated with pale skin and big red lips, perhaps to express a mock-up of that era?